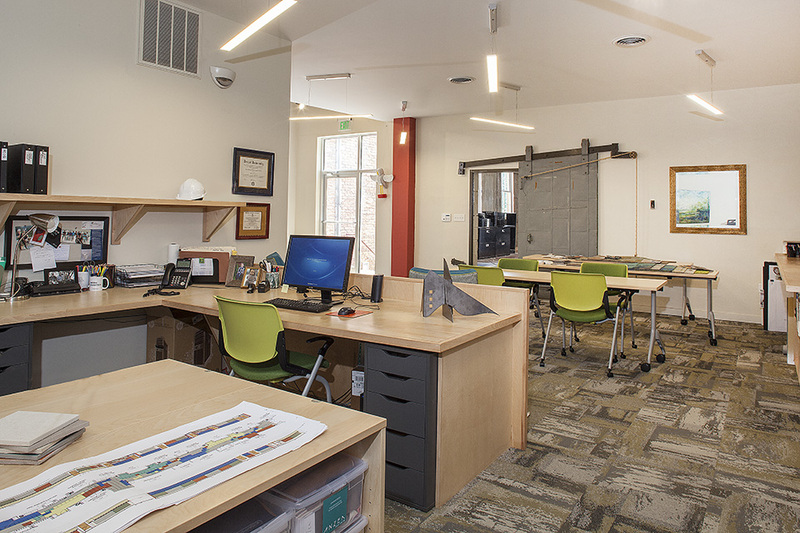 M&D used this limited budget approach when expanding their own building at 228 West Market Street in York – with an annex now known as “c o d.” They use this expansion/renovation to show clients what they can do without spending a lot. When Murphy & Dittenhafer Architects work for a client regardless of budget, they do more than design a building — they build a relationship. “We make decisions by listening to our clients, recognizing what the priority pieces of the project will be, and getting excited about how these pieces will transform the facility into a better space,” says Lauren Myatt, architect with M&D. 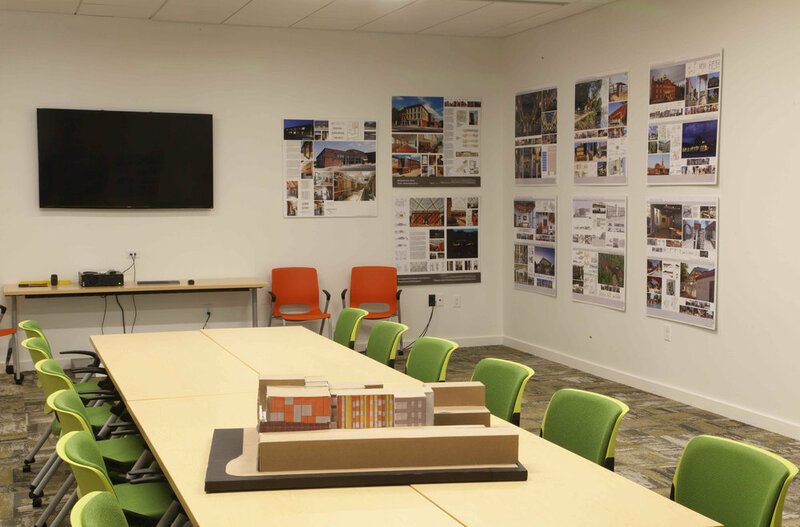 By listening to the client about where the most heavily used or most popular spaces will be, M&D architects decide where to focus the funds and where to economize to realize the best bang for the client’s buck. Higher education institutions often have big needs but smaller budgets. One example is the HACC York Campus. M&D was given the assignment to transform a vacant 3,500 square foot room in the former Call Center Building into a Student Commons - putting in different seating options while taking a corner and installing aluminum and glass panes to bring in natural light. They added a wall with a banquette and got rid of an old suspended tile ceiling with water stains, adding a new acoustical ceiling while leaving out some ceiling tiles to give a hint of space above it. The project came in under budget and is now heavily used. “We made it an interesting and engaging space for students, and it’s paying off for HACC,” Dittenhafer says. Using much of the existing structure in a renovation project is another way M&D manages costs. One example is Sarah’s Hope transitional housing facility, owned by a non-profit organization, St. Vincent dePaul of Baltimore in the Sandtown-Winchester neighborhood of Baltimore. Creatively finding different finishing materials is another way to spruce up a project. Myatt says M&D took this approach with the Sarah’s Hope project. The yellow glaze on the existing interior brick walls and a yellowish beige floor were both very durable building elements, so they kept them and adapted other finishes to complement these and elevate the project. This created a flexible and collaborative work space. 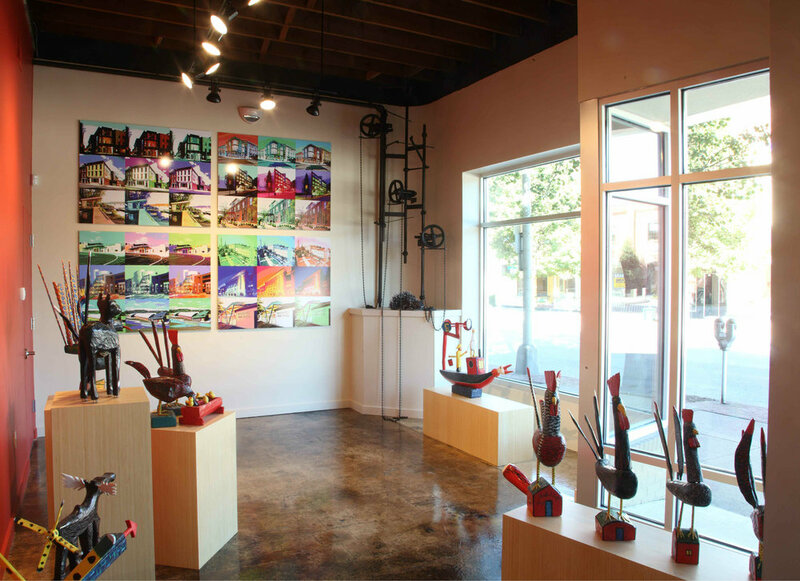 To get to various areas, clients walk through galleries containing artwork – not a boring hallway. While their own building is a great example, Murphy & Dittenhafer Arhcitects emphasize each project is unique. “We have conversations early in the project to get everybody on the same page as to how far the funds will go and prioritize with the client up front to make the best use of funds on the most heavily used spaces and save money elsewhere,” Myatt says. The end products give clients big results even on small budgets.